There have been rumors, speculation, hints in Hangouts updates, and now finally Google Voice is being rolled into Hangouts. 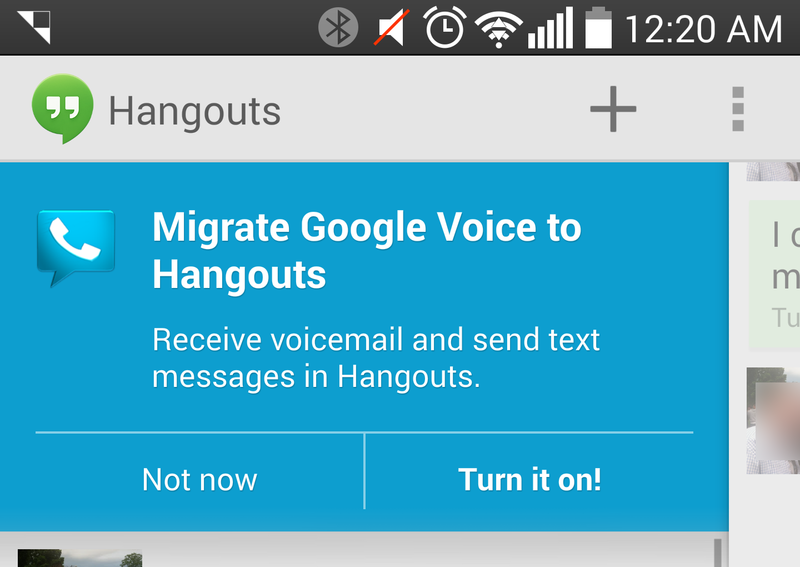 The Hangouts app is offering to enable Voice SMS and voicemail via a popup in the conversation list. So check your app now! Parts of this seems to be working fine, but others not so much. 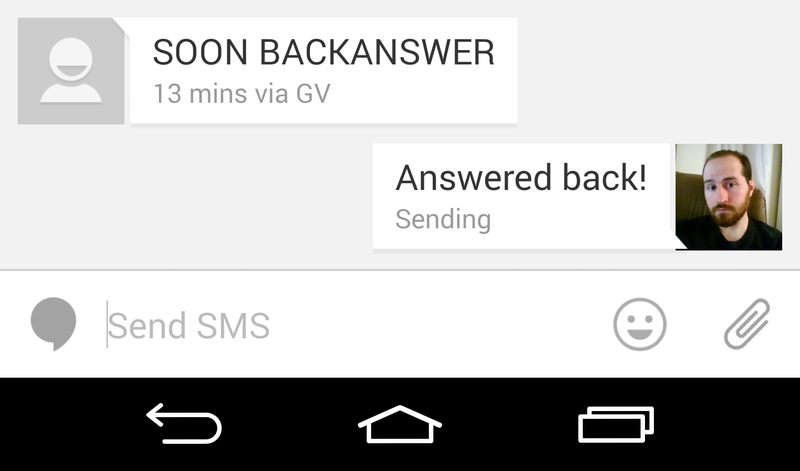 For example, messages sent to your Google Voice number will appear in Hangouts (mobile and desktop) just fine. Replies, however, appear to be busted in both locations right now. Presumably this is all just a bump in the road early in deployment. Of course, someone might have simply thrown the switch too soon. We can be certain, however, this was a change on the backend. 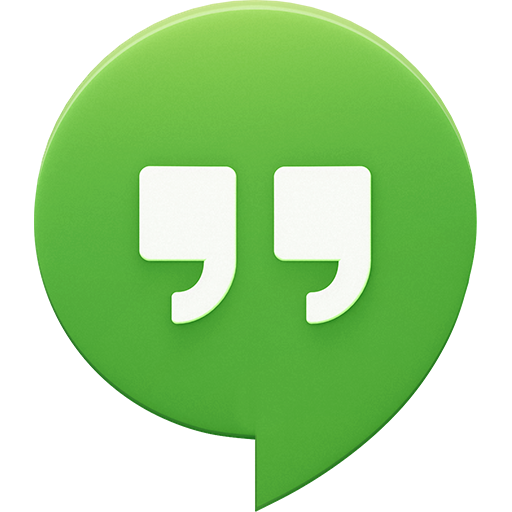 No Hangouts update is necessary to see the popup, but an update during the coming Update Wednesday may be required to iron out all the kinks. Note the reply is stuck as "Sending"
A Google Voice message shows up in the app with the "via GV" line to let you know the message was sent to your Voice number. There does not appear to be a way to select which number you reply with, at least not yet. That might be another feature that's still rolling out. Also note that if you turn on Voice integration, your Voice app will stop receiving messages—everything will go straight to Hangouts. 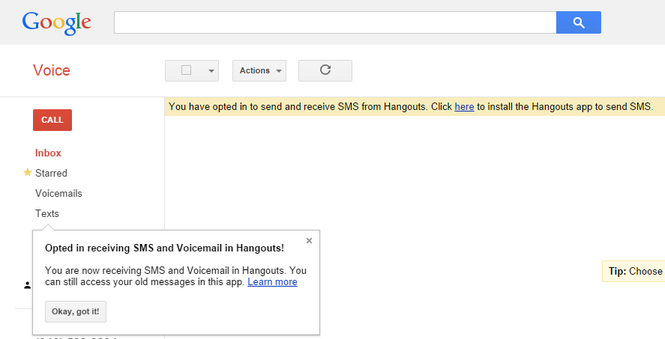 The Voice website will also be updated with a notice that your texts and voicemail are being routed to Hangouts. The Voice Chrome extension will be able to send SMS, but it won't receive them anymore.